The lottery can be quite serious at times, especially when millions are on the line. However, let’s take a step back and have a look at some fun facts from over the years of the world’s National Lottery. In 1994, John Major launched the first National Lottery. Twenty years on it has created 3,600 millionaires and paid out £53bn in winnings. The average lottery winner buys 4.5 new cars for either themselves or friends and family, while 10 percent buy more than 10. The most unusual purchases in among lottery winners include a pair of new hips ‘for the wife’, a narrowboat, Tarantula, firework company, next door’s house, before turning it into a pub. Four consecutive numbers have been drawn on three occasions – the last time was on November 30th, 2011, when the numbers were 13, 23, 24, 25, 26, 30. In a Florida lottery in the same year, however, the numbers were 14, 15, 16, 17 and 18. Wayne Elliot from Deal, Kent, won a prize every week for the first 26 draws of the National Lottery. Defying the odds of 350 billion to one, a family from Tipton, West Midlands, has had three separate jackpot wins, with a total value of £3.25 million. The largest unclaimed prize was from the EuroMillions draw on June 8 2012. A ticket worth £63,837,543.60 had been bought by a player in the Stevenage and Hitchin area. It is a world-record unclaimed prize. 22 million people watched as Noel Edmonds hosted the first draw, which saw seven jackpot winners each scoop £839,254. The first millionaire was created the following Saturday. There are four Lotto draw machines: Arthur, Guinevere, Lancelot and Merlin. There are also eight live sets of Lotto balls – handily numbered 1-8. The balls are made of close cellular foam and are manufactured by Smartplay in New Jersey. Each set costs £2,500. The largest jackpot win with one ticket was $590.5 million (£376.4 million) in America’s Powerball, won by Gloria MacKenzie of Zephyrhills, Florida in 2013. The results show has been canceled just three times – the first as a mark of respect upon the death of Diana, Princess of Wales; the second out of respect for the passing of Queen Elizabeth the Queen Mother; and the third to mark the first anniversary of 9/11. The Queen reportedly won £10 on the first Lottery, prompting the headline “ONE’S WON”. 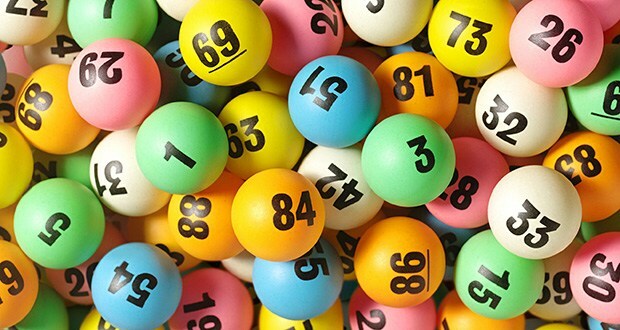 The most drawn Lotto ball is 38 – it is green and has been drawn 314 times since 1994. Lottery-funded films, which include The King’s Speech and Billy Elliot, have won a total of 31 Baftas and 15 Oscars. Amazingly, the least drawn number in the history of the National Lottery is 13. It is blue and has been drawn only 229 times since 1994. 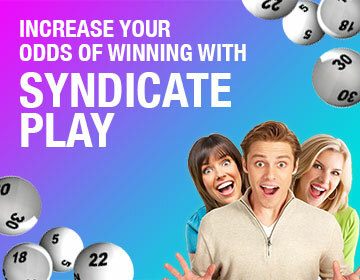 Have those fun facts encouraged you to buy your next National Lottery ticket? Play at OneLotto now!